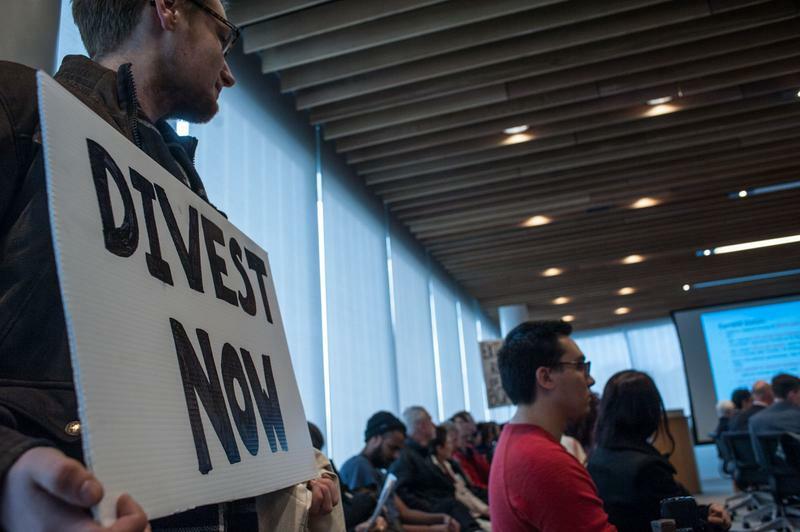 The Finance Committee of the Board of Governors has made a decision to advise the board against divesting its endowment fund of investments in fossil fuels. During the open-session meeting that took place early this morning, the committee was presented with the findings of a report on the advantages and drawbacks of divestment, created based on consultation with stakeholders and the availability of the endowment fund. The committee made the decision based on whether or not five criteria were met — a proven social, economic or environmental rationale, reasonable evidence that divestment would be an effective way to achieve the desired outcome, an absence of alternate policies, consistency with the university’s legal obligations as a trustee of the endowment fund and consistency with its other university relationships. While the “divestment criteria” from this report asserted that there was a proven rationale to the decision, it also said that divestment was not an effective way to achieve the desired outcome, according to “reasonable evidence” and that there was no absence of alternative policies. UBC’s fiduciary responsibility to donors also remained a strong factor against divestment. This means that they have a responsibility to act in the best interest of their donors’ money and remain true to its intended purpose, which lowers their flexibility with its usage. Although some of the university’s investment donors were in favour of divestment, the majority were not and many went so far as to insist that they would pull out should the decision go through. Instead, the university will create a Sustainable Future Fund (SFF), which will immediately receive $10 million from the Trek Endowment and will use sustainable, environmental and socially-conscious strategies to make investments. With the creation of this fund, donors particularly interested in environmentally friendly investment will be able to choose whether or not they would like to contribute with the understanding that this fund may not financially perform as well. The SFF would also prove more flexible for the board’s allocation of money. Students and faculty have been lobbying for divestment since 2013 when a proposal was first put forward for it and again showed their support when each body voted in favour of the movement just last year. That 2013 proposal, championed by UBCC350, UBC’s pro-divestment group, was leaned on heavily by the Finance Committee during this decision process, but the group was not actually pulled into the discussion. Environmental and social governance (ESG) objectives are essentially a policy that makes sure UBC’s investments are ethically sound and in accordance with environmental, social and governance concerns. “The intention is that the new fund would meet the highest ESG criteria and also be very low cost,” said Philip Steenkamp, UBC’s VP external. “There’s a huge body of research that shows that you can have the same or better returns with a fossil-free fund. We partly put forward that evidence in our original proposal to the board and it seems that it wasn’t considered seriously in the process,” said Hemingway. Greg Peet, chair of the finance committee for the Board of Governors, also reiterated several times that UBC would be open to re-evaluating the benefits of divestment in the future. “This discussion is not over and we know that and we appreciate that,” said Steenkamp. The Board of Governors will make its official decision, based on the suggestion of the Finance Committee, at its February 15 meeting.